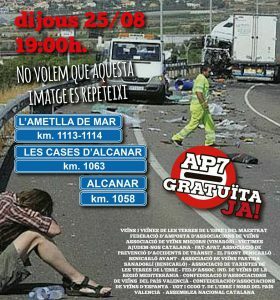 Lorries will be forced to divert from the N340 to the AP7 in Terres de l’Ebre from January 2018 in an effort to reduce accidents on this dangerous and congested stretch of road. The Catalan minister for territory and sustainability, Josep Rull, proposed the measure at a meeting with 25 mayors from Terres de l’Ebre, Camp de Tarragona and Penedes at the start of September. The mayors endorsed the plan. 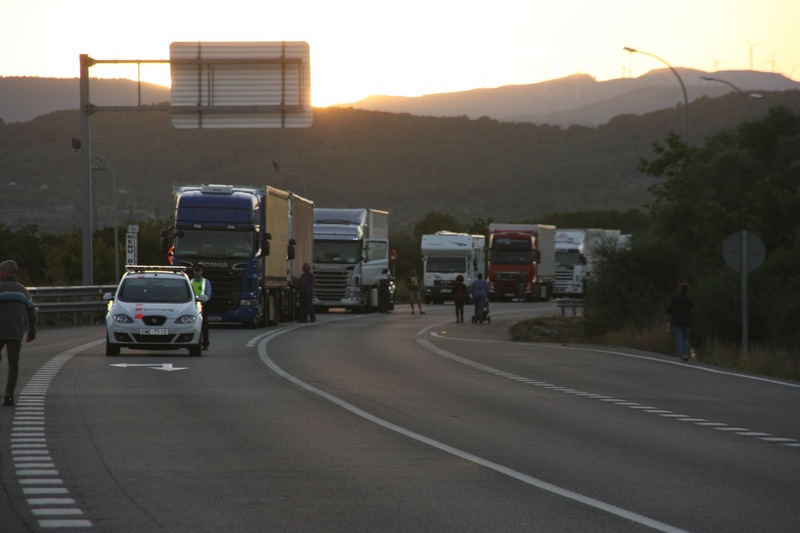 Lorries will be compulsorily diverted to the AP7 between Peñiscola and Hospitalet de l’Infant and between Altafulla and Vilafranca del Penedes Sud. The lorries will receive a discount on the toll. To combat congestion, there will be no AP7 toll for small vehicles making local round trips on the stretch between Vilafranca Sud (near Barcelona) and Alcanar (in the south of Catalunya) within 24 hours. The proposals have been criticised by the campaign group that has been blocking the N340 every week for the past two years. Prou! 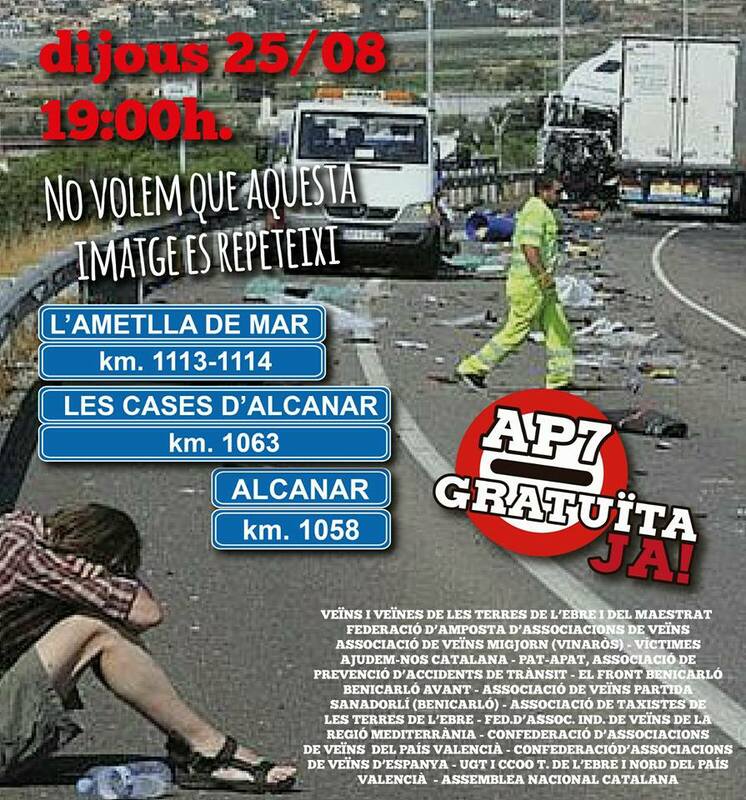 AP-7 Gratuïta Ja was established to call for the government to take measures to make the N340 safer, but a spokesman told a local newspaper this week that the group will continue with the protests. Llorenç Navarro told the Diari de Tarragona that he rejected the agreement which only served to benefit Abertis, the company that earns the money from the tolls “which will still earn more money with the obligatory diversion of the lorries”.